Complete – Check out Facebook for photos from the day. Trip Full – To be placed on the waiting list, please email Daniel.Altenau@raldioc.org. Projects last from 8 a.m. – 4 p.m.. 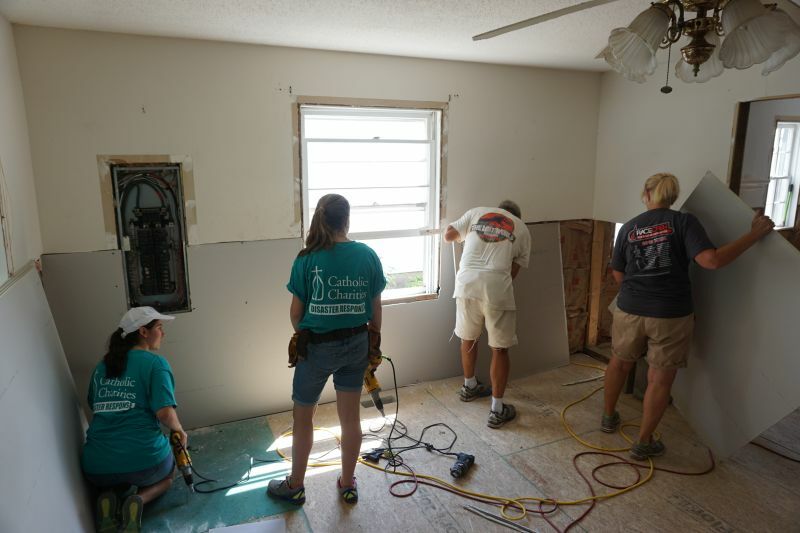 Projects may include painting, putting up drywall, and laying down flooring. All projects will be determined on the day of the project. Following Hurricane Matthew, many families were forced from their homes as flood waters rose. Unfortunately, there are still hundreds of families who are still unable to return to their homes. 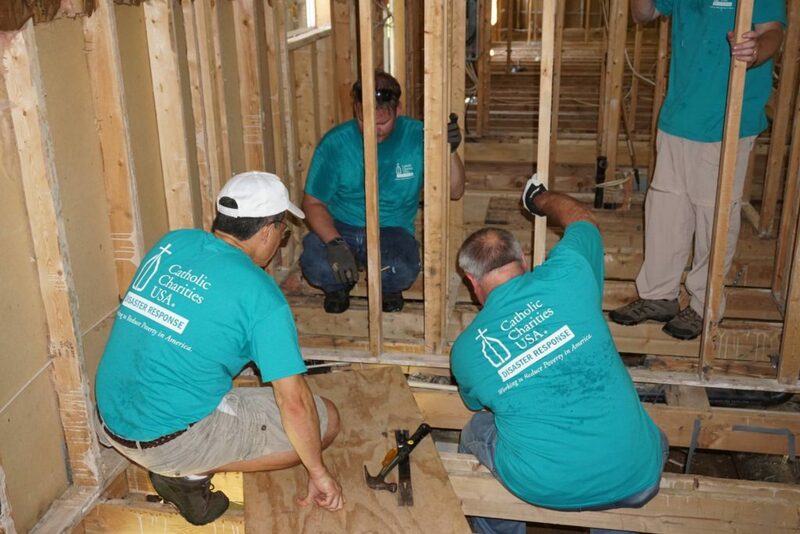 Catholic Charities and the Knights of Columbus have come together to form NC Catholics Volunteer. 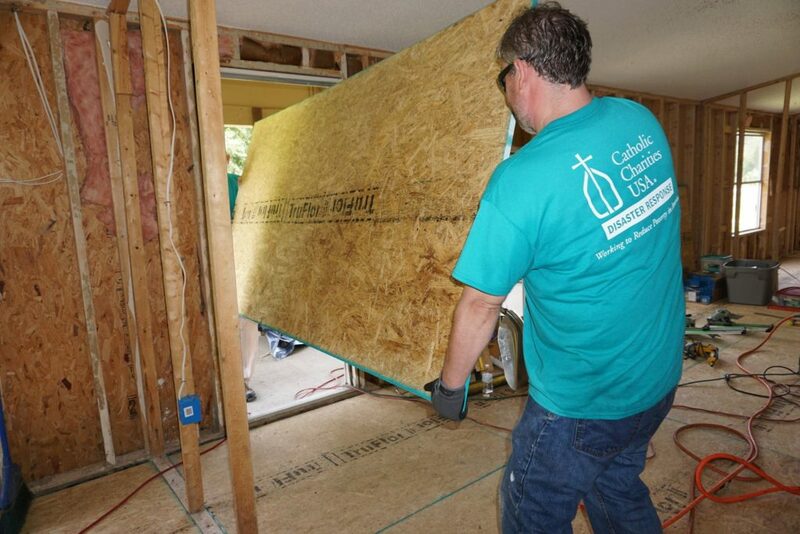 Catholic Charities and the Knights of Columbus came together in 2017 to form this group and provide a coordinated opportunity for Catholics to help repair these damaged homes.